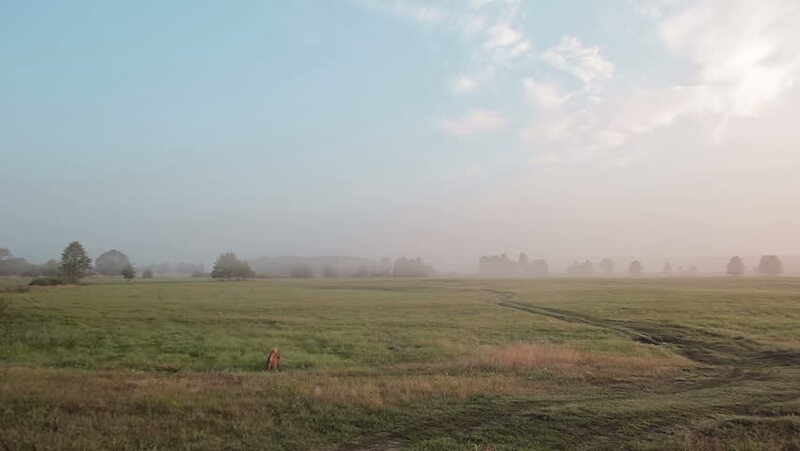 A fluffy red dog chasing a mouse jumping in a summer meadow. 4k00:12Straw bales in fields farmland with blue cloudy sky at harvesting time. Beautiful nature background. Light breeze, sunny day, dynamic scene, 4k video. hd00:40The hay baler moving diagonally from left to right across the field with hay to the forest edge. Autumn cleaning of hay on the field. Sheaf hay. hd00:22Aerial shot of the Vistula river. The floodplain of the river.